Hv cable is an important part of the X-ray machine, X-ray machine can be divided into industrial X-ray machine and medical X-ray machine. X-ray machines for industrial use can be divided into hard X-ray machines and soft X-ray machines according to the intensity of the generated rays.X-ray machine is generally composed of X-ray tube, high-voltage generator, control equipment, cooler, mechanical equipment and high-voltage cable and other components. 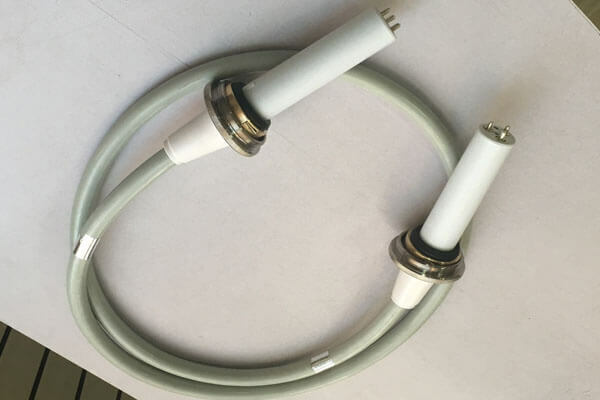 Hv cable is connected to the high pressure generator and the ball tube, and the high pressure generated by the high pressure generator is transmitted to the ball tube at two levels to ensure the normal operation of the X-ray machine. The length of Newheek hv cable can be customized according to the needs of customers, or the connection head of high voltage cable can be selected according to the needs of customers. The connection head of high voltage cable is divided into straight head and elbow. Our hv cable can meet the needs of different customers.